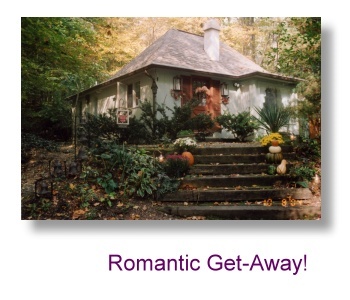 for IU parents & Grads wanting a very special vacation in the woods. 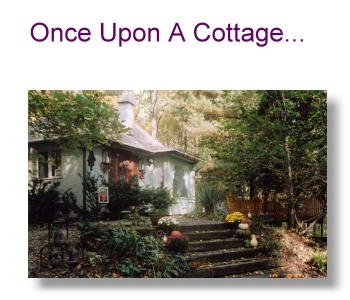 This great little cottage in the woods is located about half way between Bloomington & Nashville, IN. A great location for IU parents or fans wanting a getaway weekend. Close to Assembly Hall & Brown County State Park. 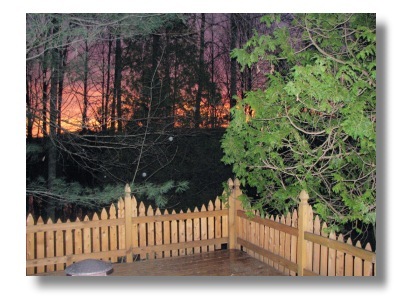 Once Upon a Cottage is secluded in the woods overlooking farmsteads along Brummets Creek. 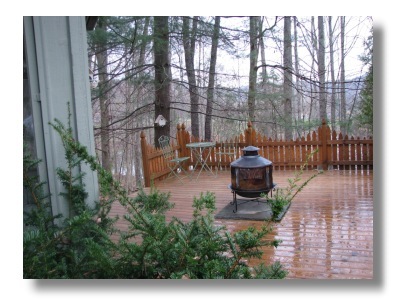 Enjoy the great outdoors from the front deck or from the relaxing hot tub in the woods behind the cottage. The cottage has one bedroom with queen size poster bed, one bathroom, living room with a blow up queen air mattress for extra guests, TV and gas fireplace, and a small kitchen (apartment size fridge) with a charming breakfast nook. All cabin prices are per night for one couple. Mimumum two night stay usually required for all reservations. Additional charge of $10/extra guest/night.